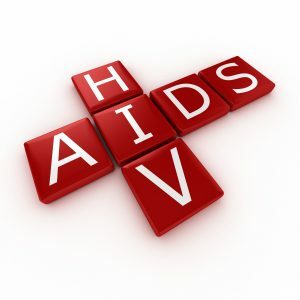 HIV, human immunodeficiency virus, is the virus that causes AIDS, acquired immunodeficiency syndrome. Statistics show that over one million people in the United States are infected with HIV. Almost 40 million are infected across the world. Twenty five million have died of HIV/AIDS. People who have AIDS have HIV, but people who have HIV do not necessarily have AIDS. At the XVI International AIDS Conference in 2006, researchers said, “The final common pathway of untreated AIDS is progressive immunosupression over many years followed by an acute critical illness, usually sepsis, and death, often within 48 hours.” In other words, sepsis is the most common cause of death from AIDS, and a very quick one at that. HIV is a retrovirus that infects your cells, using their energy and nutrients to grow and spread. HIV attacks your immune system, leaving you vulnerable to infections and diseases. Some of these infections and diseases may only cause mild symptoms and discomfort to non-infected people, but they could be deadly for those who have HIV. You may hear the term CD4 when people talk about HIV. CD4 cells are a type of white blood cells called lymphocytes. Their role is to help fight infection. As HIV progresses, the CD4 levels in your blood drop. According to the Centers for Disease Control, anyone with a CD4 count of less that 200 is considered to have AIDS, although many doctors will start treatment at a count of 350. People who do not have HIV generally have CD4 levels of between 600 and 1,200. How do you get HIV and AIDS? AIDS is contracted once the HIV has overwhelmed the body and you now are much more susceptible to infection. Yet others with the infection may begin to develop these symptoms slowly, as the virus progresses. What treatment is available for HIV and AIDS? Currently, there is no cure for HIV or AIDS. While many people can live a long time with HIV, particularly if they receive treatment, once they develop AIDS, there isn’t much that can be done other than treat the infections and diseases that they experience. When someone is diagnosed with HIV, blood tests are done on a regular basis to see how far the infection is progressing. As long as the blood levels stay healthy and the CD4 levels are high enough, there is usually not much to be done. However, once the CD4 levels begin to drop, treatment with anti-retrovirals may begin in what is called highly active anti-retroviral therapy, or HAART. These medications are very powerful and can have strong, undesirable side effects. So, the doctors must carefully balance the dosages – enough to help fight the HIV progress but not enough that you experience bad effects. Not all treatments help everyone, so if one treatment doesn’t seem to be helping, you will likely be offered other options. This trial-and-error approach isn’t uncommon in medicine because everyone responds differently to medications. Can HIV and AIDS be prevented? Yes, HIV can be prevented. AIDS, however, cannot. AIDS can be held off with HAART, but it can’t be prevented. There is no cure for HIV or AIDS, but it can be prevented in most cases.